Earl of Pembroke at Wilton House, Wiltshire. 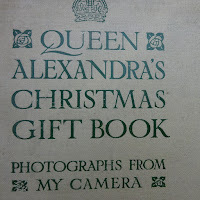 One of my favourite jumble sale books is Queen Alexandra’s Christmas Gift Book, Photographs from my camera. It was published by the Daily Telegraph in 1908, and raised £10,000 for charity. Queen Alexandra, wife of the King of Great Britain, was a keen photographer who always travelled with her No.4 Kodak Box Brownie camera, especially when on HMY* Victoria and Albert III. The previous ‘royal yacht’ - any ship that is used by a royal family - HMY Victoria & Albert II was built in 1855. When Queen Victoria observed that the yachts of both the Russian Czar and the German Kaiser were larger than Britain’s, Parliament agreed to build a new one. As a steam ship, the anchor chains would normally have been pulled up by engine, but the queen insisted that the yacht be fitted with a capstan, so that she could watch the sailors at work. 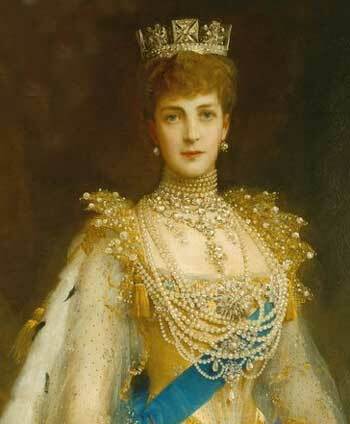 It was launched in 1899 but Queen Victoria died before the yacht was completed. With every luxury available, HMY Victoria and Albert III employed a ship's crew of 336 men and even the buckets were painted with royal crests. The ship was 120 metres long by 12 metres across, powered by steam engines and cost £572,000 – the equivalent today of £32 million. 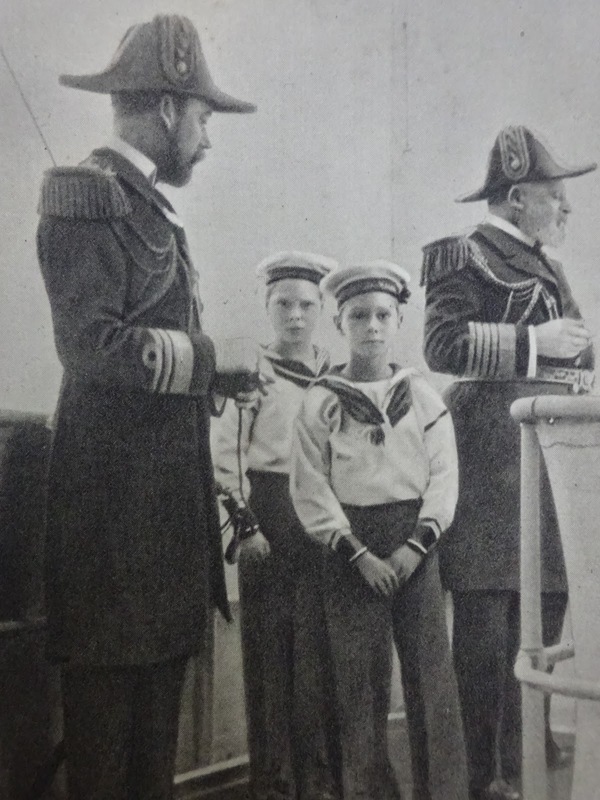 In 1901, the year King Edward VII acceded to the throne, he and his wife Queen Alexandra travelled for the first time on HMY Victoria and Albert III. They crossed the English Channel to attend the funeral of the King’s sister, the Empress of Germany. 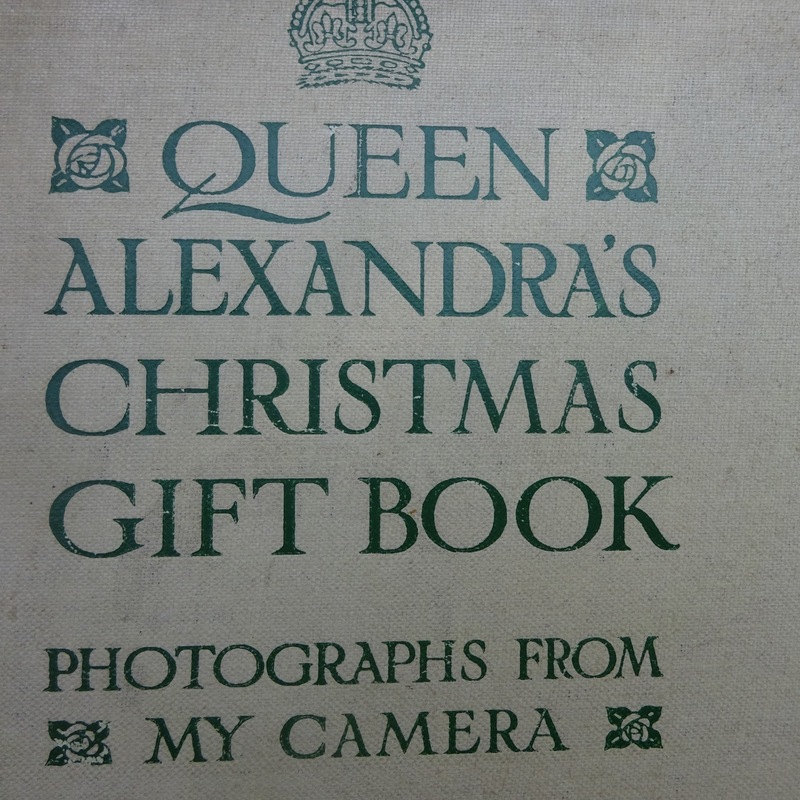 Possibly the first member of the British royal family to own a camera, in 1885 Queen Alexandra was congratulated on her skill by Amateur Photographer magazine. In addition to compiling many photograph albums, she transferred some of her photos onto a tea service. Her photos are a delightful combination of stiff ‘firing squad’ poses of royal courtiers, mixed with tea parties, children playing and her husband relaxing with his royal relations from many nations. Edward VII also used the yacht for Royal Navy Fleet Reviews. 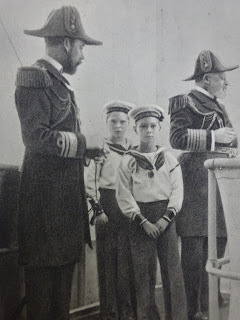 Queen Alexandra captioned this "The Lords of the Admiralty, Naval Review, 1907." the Royal Navy Admiral of the Fleet. the Duke of Connaught, son of Queen Victoria, reviewing the fleet off Cowes, 1907. In Norway, the captain hung a swing in the rigging for the royal ladies. During a royal visit to Norway, little Crown Prince Olav, grandson of Edward VII and Alexandra, chatted to naval officers and the ship’s cat. He was the first heir to the Norwegian throne since the Middle Ages to grow up in Norway. As an adult, he won a gold medal for sailing at the 1928 Olympics in Amsterdam. He became king of Norway in 1957 and was nicknamed Folkekongen - "The People's King". Princess Victoria, daughter of Alexandra, and her nephew Prince Olav, 1903. In 1906, King Edward VII met his nephew, the Tsar Nicholas II of Russia and his family, off the coast of Estonia on the Baltic Sea. a Russian Imperial Navy sailor whose job was to stop him from playing rough games. Princess Viktoria of Shaumburg-Lippe, grand-daughter of Queen Victoria. HMY Victoria and Albert III was also used by George V, Edward VIII and was withdrawn after George VI’s coronation Fleet Review of 1937. Although decommissioned in 1939, it was used as a depot ship during the Second World War and in 1954 broken up and replaced by HMY Britannia.